Farm to Work Springing Forward! Despite last year’s drought that brought some setbacks to the previous growth of Farm to Work, the first week of April 2012 is the largest grossing week of sales for local farmers since the program began. 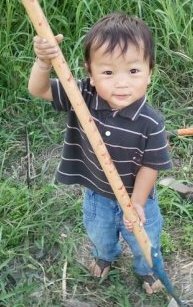 This worksite wellness and local foods delivery project was created in 2007 in partnership with Texas Department of State Health Services (DSHS) to establish new sales outlets for family farmers and provide state workers with access to healthy, local food. Farm to Work now serves thirty worksites, and has involved a dozen farmers. Which farms are participating? Find out here. ACTION ALERT: The State House of Representatives is holding a joint committee hearing regarding community gardens and urban farming on Wednesday, April 18th at 1pm. Public testimony will be heard. Details here. Elementary School Families Spread the Harvest! Grow Local’s Spread the Harvest Resource Give-Away Day is just one of many ways that Sustainable Food Center (SFC) supports health and wellness programs in our Sprouting Healthy Kids partner schools. 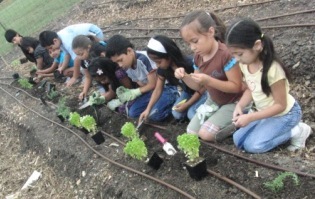 These parents and teachers have been very successful in their school garden projects thanks in part to the community organizing work of Sustainable Food Center and Marathon Kids. Through this partnership, parents and staff have formed wellness teams that address various school health issues by creating a space to talk about wellness and then accessing resources. Progress at Norman, Reilly and Pickle Elementary Schools may be read about here, and Jordan and Walnut Creek Elementary’s good news is detailed in this blog post. 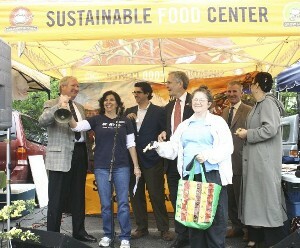 SFC Farmers' Market East Opening a Success! Thanks to all of our funding partners as well as the many supporters and customers who attended our March 20th grand opening of SFC Farmers' Market East. Read all about it here! 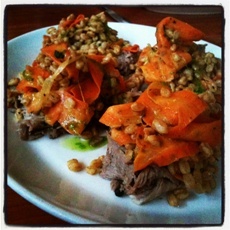 Think kids should be learning at a young age that cooking and eating healthy is fun? We think so too! 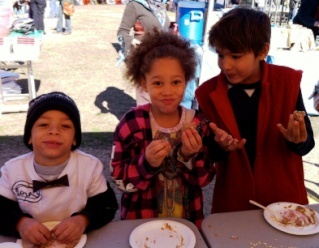 Every week at SFC Farmers' Market Downtown in the marigold SFC tent, we have something fun for the kiddos: The Little Kitchen and Li'l Sprouts. THANK YOU TO LA CONDESA AUSTIN! We are grateful for the ongoing support of La Condesa Austin, which hosted the fifth biannual SFC Chef Series last Sunday, including the talent of Dai Due, Contigo, Olive & June, Noble Pig, Lucy's and Lenoir! Tables now sold out and tickets going quickly! Shop local businesses and support SFC--it's easy! All this month, EcoClean will be donating 5% of each Wednesday's revenue to us. Learn more here! 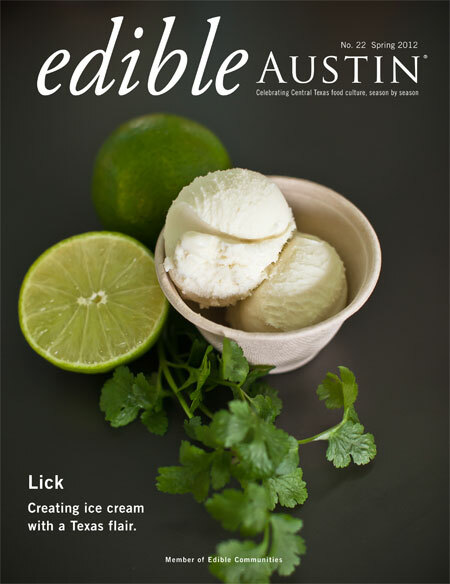 Do you have the Spring issue of Edible Austin? If not, pick one up today - they're free and available at all four SFC Farmers' Market locations! 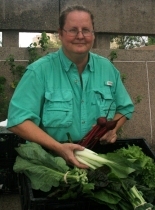 April 28th is the 3rd Annual Austin Community Garden Tour, of which SFC is proud to be a co-presenter.